I got exactly what I was looking for with one exception. 1) What percentage of your business would you attribute to some form of referral or word of mouth? 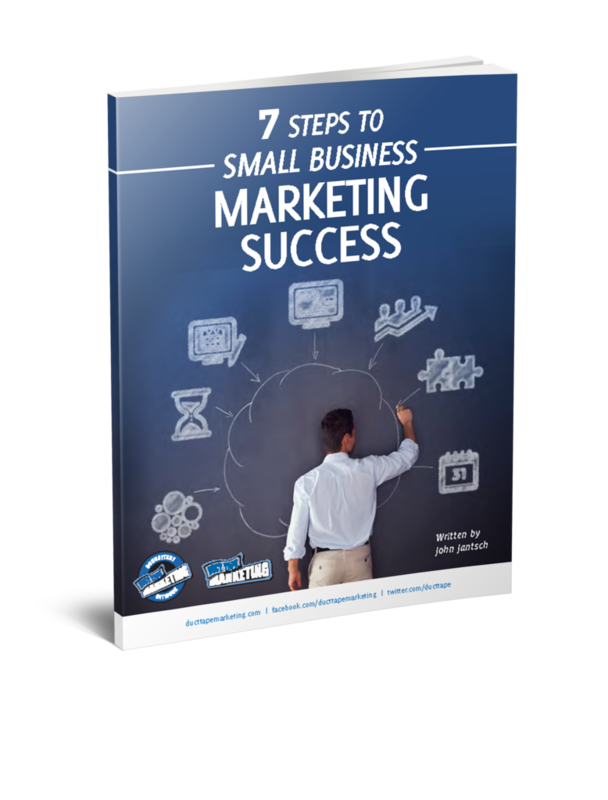 2) Do you have a well-defined system to promote referral generation in your business? 3) If you are not systematically receiving a consistent stream of referrals, what is in the way? 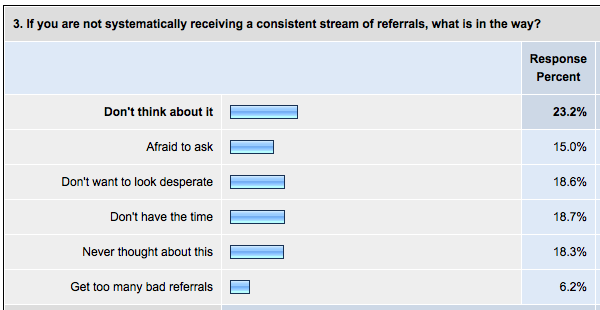 4) Of the referrals you receive do most come from . . .
5) I have been in business for . . .
First off the validations – 69.3% felt over 50% of their business came by way of referral and yet, 79.9 further admitted they had no well-defined system to promote referral generation. So, we know the power of referral, but we don’t develop proactive processes to take advantage. I actually had a hunch on these numbers because I hear this every day. By the way, it varied little from over 10 years in business to less than 3 years in business. Now, what I was really trying to learn is why for heavens sake . . . and that’s where I flawed my results. Q3 – If you are not systematically receiving a consistent stream of referrals, what is in the way? – puzzled people so much that over 20% of the respondents skipped the question. To give you some perspective less than 1/2 of 1% skipped any other question. Now, one thing was clear from the dozens of emails I got on this one, I should have had an other or I get enough referrals, but judging from some of the very long, passionate emails I got, this is a subject of significant importance in the puzzle and I’m going to push, challenge, explore and otherwise make people uncomfortable and accountable on this one in the book. Here’s your shot – what’s in the way of you getting a steady stream of referrals in your business. What’s holding you back from getting referrals from every single customer and dozens of strategic partners? Please share your thoughts.